The Journal Diaries is a blog segment where we get a sneak peek into the journals, notebooks, organizers, and diaries from people all over the world. My special guest today is Prem based in California, USA. - Hi, Prem! Could you tell us a little more about yourself and your background? Hi Michelle, first, let me thank you for inviting me to be one of your guests on your blog's Journal Diaries segment. I truly appreciate being a part of it. To start with, Prem is my spiritual name given to me by my teacher many years ago. 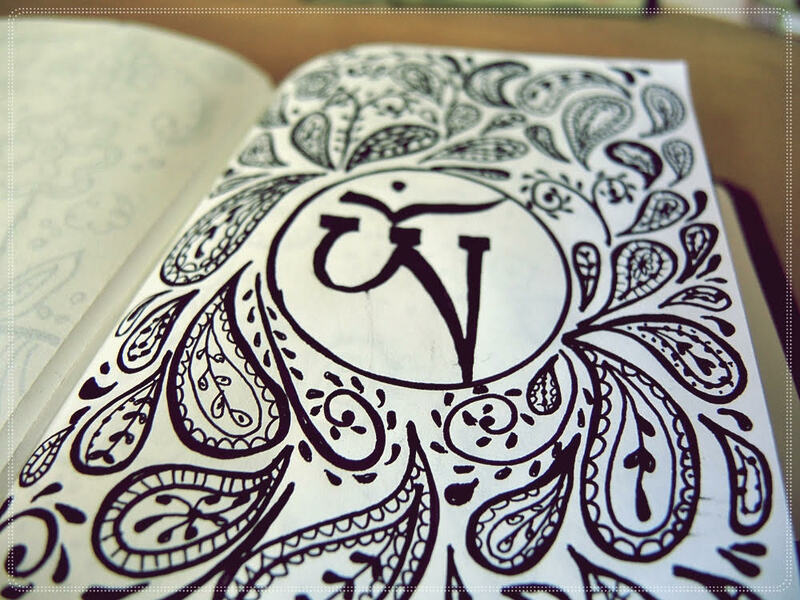 In Sanskrit, it means "love." It can also be short to Premal which too means "love," I believe. It usually is a name given to men in India but I like it anyway. What matters to me is how beautiful the meaning is and that it clicks well with me. I am so passionate in general about people, life and art. Art has been a part of my growing up. My parents were masters of their own crafts. My dad was a screen printing pro, a calligrapher (Manuscript & Gothic) by heart, a bookbinder, a carpenter and many many more. My mom was very good with fabrics - curtains, quilting, crochet, knitting and all fabric crafts that you can ever imagine, she also had very good tastes in color. So, I basically grew up learning a little of each of their arts and became passionate with it until life took over my life. Life story short, I am glad I found my way back to it. 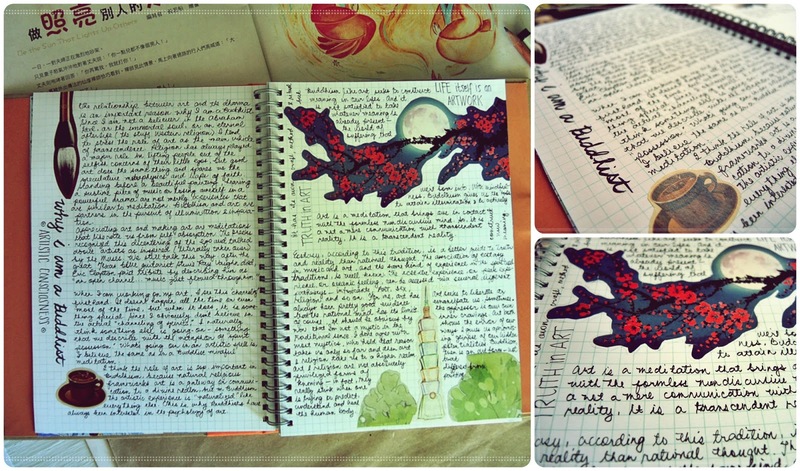 - When and how did you first get into art journaling? I kept an old journal full of events, travels, and thoughts in my head. I found it one night and read and it was some sort of a revelation of myself back then which I somehow forgot to hold on to. Now, years later, it seems if given this greatness, this gift of insight... how can it be that one loses sight and the idea then is lost so easily? Maybe we forget because when we let go and just give ourselves over to writing, it's usually our higher perspective that has taken over and given us insights... up and away from the trivialities of everyday life when we write some of these things. At the time the words or the revelation was profound in time other things became profound, yet later when we read back over those words we are affected once again. That in itself is the beauty of the written word. And through this, I thought of translating some of those great insights into another form of journal. 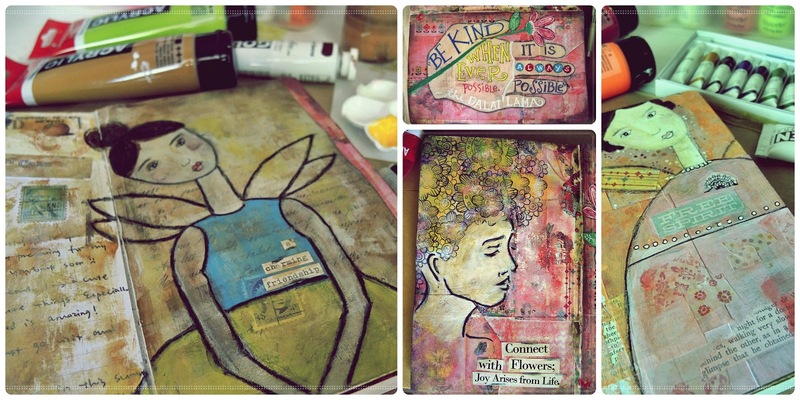 An art journal, because it is not always just for that moment in time alone, it is a message for all time. - Any particular time during the day you prefer to use when creating? I love to start my day with a cuppa and some zen doodling on my passport sized MTN. It is to me a very peaceful and calming activity and a very good way to ground myself before I do the day's real grind. And I usually do an art journal page at around 5 pm. I am not sure what it is, but I really feel a high at that time around. I think it is at this time that my art is communicating to myself the beauty of when mental meets the physical. - How often do you journal? I journal on my regular Traveler's Journal once a week, it used to be either on Saturdays or Sundays when I was still doing the planner section but I do it any day of the week now that I have decided to forgo that section. I journal on my Dylusions once a week also but it doesn't necessarily have to be done in one sitting. I usually keep coming back to it until the page is done. And on my other journals, only when I feel the itch. 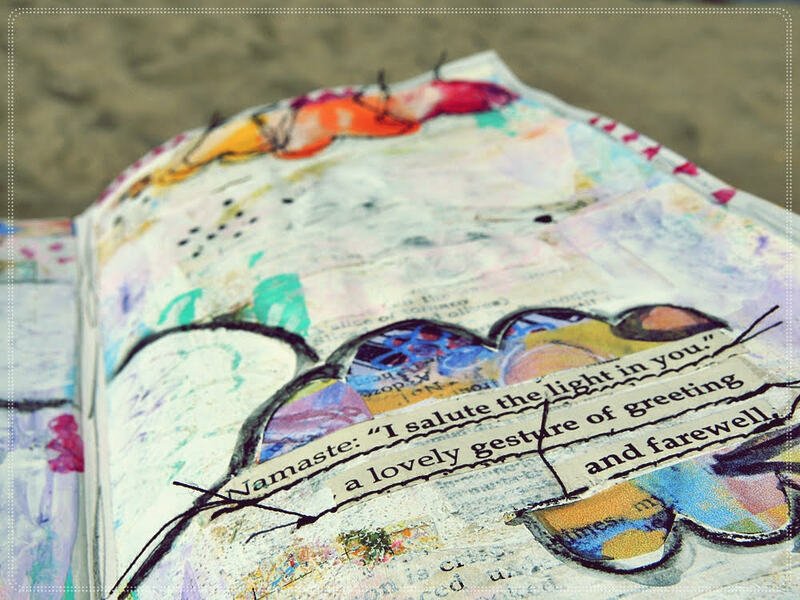 - What type of journal, notebook or paper are you currently using? I keep different journals for different subjects. • One is the Dylusions by Rangers, I use it for a more serious art journaling. I love the thick paper because it can hold any medium so beautifully. • I also just started using one of the many smash books that I have as my spiritual art journal wherein I technically just cut and paste pictures from Meditation & Health, (a free Chinese magazine which I cannot understand) and I add a little lettering and some thoughts about the pictures. I like it because of its size which can accommodate large cut outs and for the beautiful backgrounds. • Another one is the Moleskine's Wellness journal which I only use once a month to update and list the books and magazines I have read, meditations or mantras I have been using, inspirations, documentaries and all things that pertain to my general well-being. It is important to take charge of our own selves' wellness and this is a great tool to keep track and record my progress. • I also have the Traveler's Journal in both sizes. I use the regular size for my weekly, which is my favorite and go to journal and the passport sized for doodling or sketches on the go. I fell in love with MTN the moment I first heard of it because of the idea that I can insert 3-4 notebooks using only one cover which was actually what I needed. You can now tell that I have a busy journal life. Someday, I will settle in to just having one simple journal. And if I have to choose, it will be zen doodling on my MTNs. - Do you have a favorite or preferred art medium at the moment? I am so into acrylic paint right now but my pages are always of mixed media. I also use spray inks, watercolors, fluid acrylic and one of my favorite tools is the aquarelle pencil which I often use to outline shapes or to draw one's attention to the focal point. I also love to use scraps of old book pages, under-papers, and I love to incorporate stitching with my pages because it feels great when I honor each of my parent's form of art. Good stuffs, journeys, discovery of self, realization from meditations, it can also be a dream from the other night. 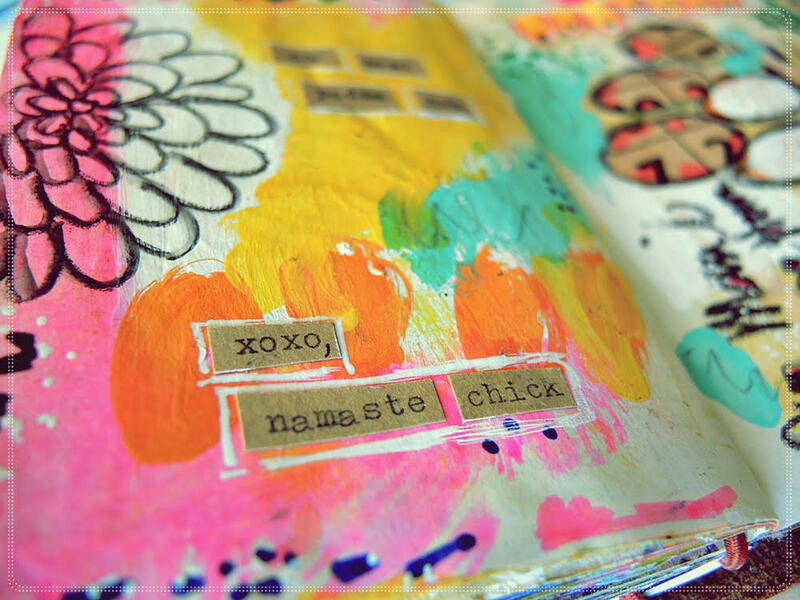 I am always drawn to cadmium yellow, bright orange and citron green when I am making my art journal background. They make for a great combination. They are so cheerful. I just can't get enough of it but I can only use too many pages with the same colors. I have a big box full of unused notebooks. (•ิ_•ิ)? 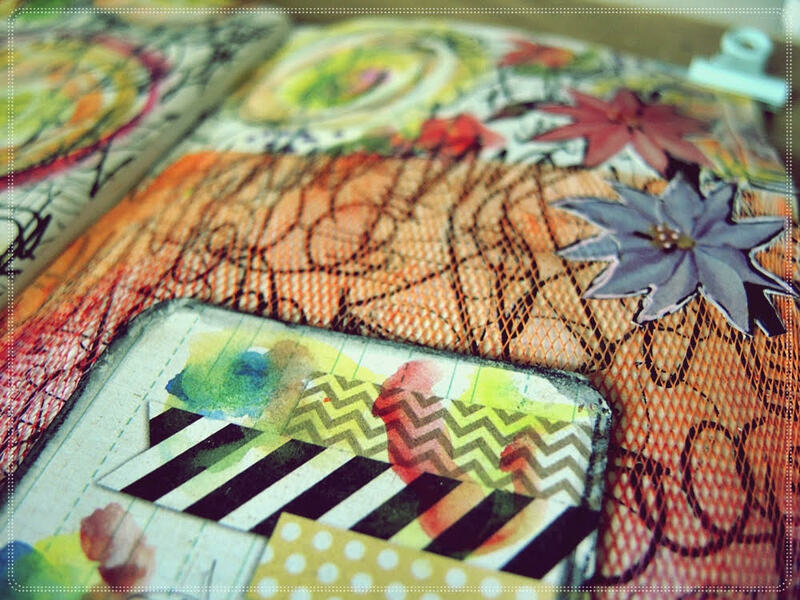 - What advice, tip, or suggestion would you give for anyone looking to start creative art journaling themselves? Experiment with diverse forms of arts. Try charcoal or just blackpens one day and switch to bright colored pens or paints the next or invest on molds and work your feelings through it. 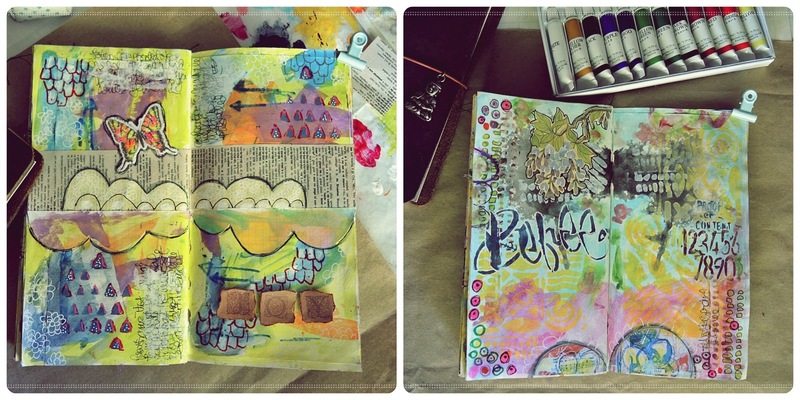 Art journaling is a great place to experiment. There is no such thing as a mistake, just continue creating. Also, while working on your journal, try to remain focused on the process as possible. A peaceful background music and pretty surroundings can add to the total experience. And don't be over concerned with the result because it is more of the process. Regardless of the experience level, just do art, every day, like it is how you breathe. Do one or a couple of art each day for at least two months. Why 2 months and not 21 days? Because it takes longer than the "21 days hype" to form a new habit. Lastly, whatever art form you choose, you will feel the therapeutic effects. I cannot stress the importance of any form of journaling. Just try and see yourself grow. Wow... like I said, I am so passionate about so many things. I like road trips, cooking, gardening, film photography, snail mails, collecting stamps and banknotes. I make wired jewelries, I crochet, I sew. I also like to play (everyday) the one and only piano piece I know. I also love to go on short hikes around my area. I have 2000+ of eBooks that I am sure I will not be able to read all in this lifetime, still, I keep going to the library to search for books to borrow and read. The list of interests is endless. I just have to make the time. 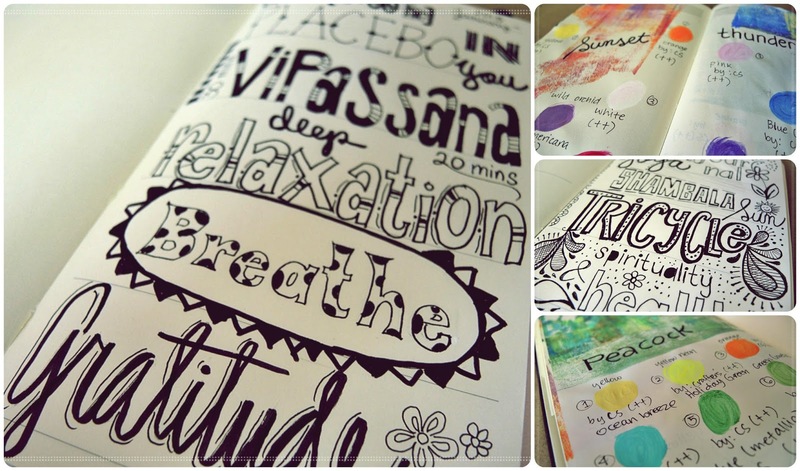 Thank you so much, Prem, for sharing your art journals with us! Click here to enjoy more journal inspiration and past guests on The Journal Diaries.